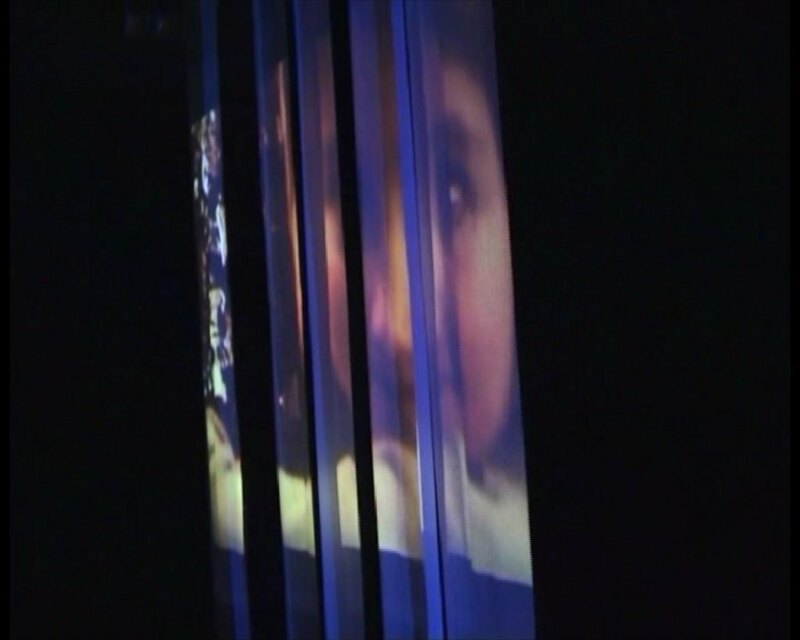 2 Videos are projected onto the fabric. 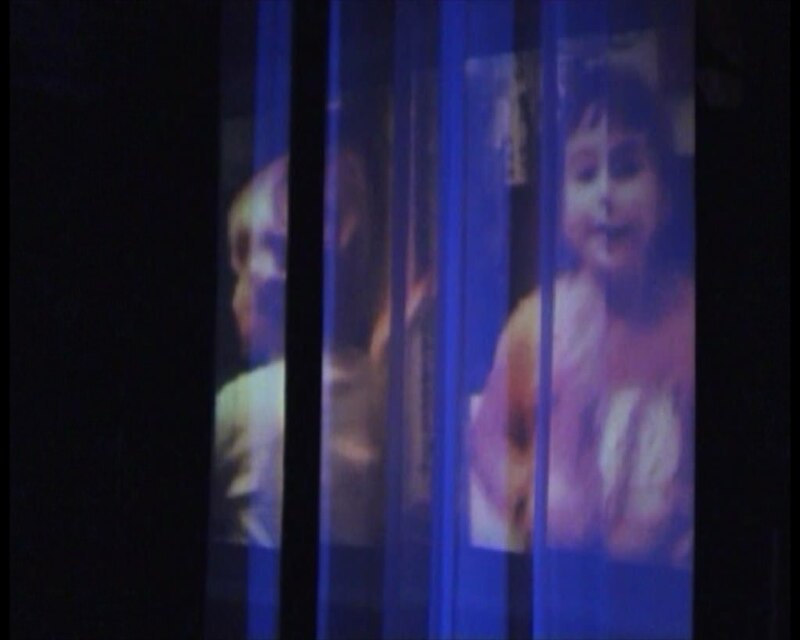 From the left (history) a projection of a child playing, from the right (past) a constant blue image. 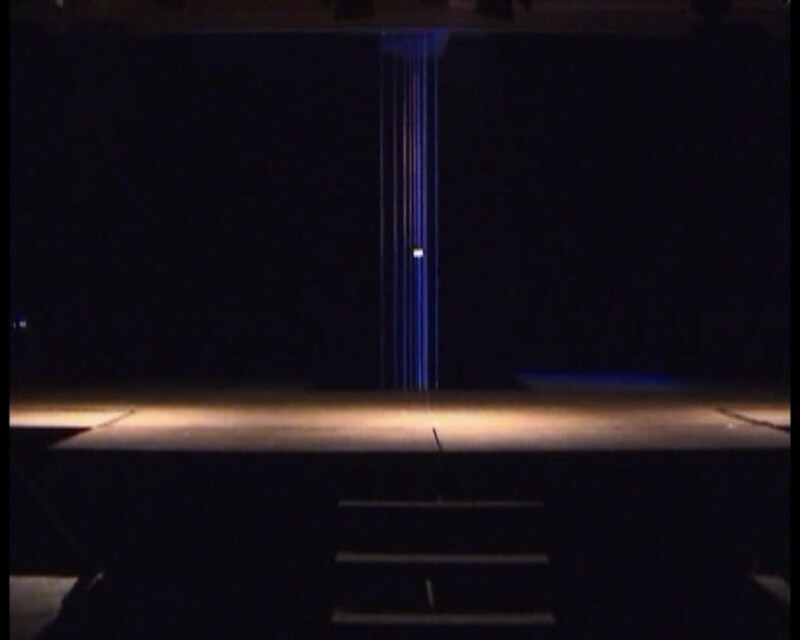 The Point of “Now” in the middle is marked, there you can only get a glimpse of both projections.